You're Registered to Attend Online! No, sorry I can't attend. This Workshop's Online Chatroom is Currently Open! You can watch video of this workshop! You’ll learn about the origins of Python, and how it can help you solve complex problems quickly. Learn about the different data types Python has to offer, including tips on when and how to use each one. Understand the control flow of Python programs - loops, boolean statements, if statements, and return statements. Learn to use Python packages from the standard library, as well as how to find and install external libraries. Learn how to work with files on your filesystem by reading and writing to them. Write programs that interact with APIs by sending requests and receiving responses. 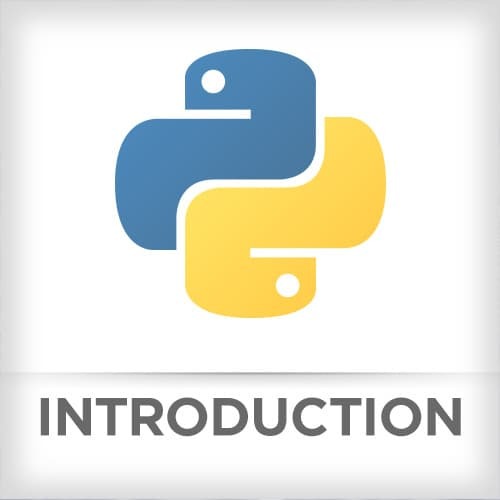 Have you always wanted to learn Python, but didn’t know where to start? After this intensive workshop, you’ll gain a solid understanding of the basics. You’ll learn everything you need to know to create and run simple Python programs, including working with the available data types, writing functions and classes, and much more. We've already held over 150 workshops with thousands of attendees in-person and online. In this time we've discovered ways to schedule the day, so it goes smoothly and efficiently. Regardless if you're in-person or participating with us online you'll have the full ability to replay things you missed, get your questions answered LIVE and interact with the teacher throughout the day. Is This Workshop for Me? This workshop will benefit anyone who’s interested in Python but has been too intimidated or overwhelmed to dive in. This workshop will offer a thorough introduction to all the language features needed to write simple Python programs. Knowledge of any other object-oriented programming language would be helpful, but not required. A basic understanding of the command line is useful, but not required. UNLIMITED Workshops and Replays for Just $39/mo? Wow! 100+ on-demand courses. Online workshops all the time. Advance your skills with in-depth, modern front-end engineering courses and workshops.